are found in the sac lining the chest (pleura) or abdomen (peritoneum). economic aspects of the disease. Over 200 illustrations round out the text. 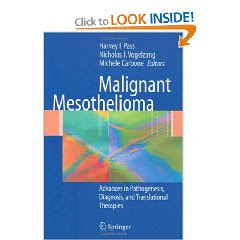 An invaluable reference for the medical oncologist, thoracic surgeon, radiation oncologist, pulmonologist, and benchworker interested in the disease..